The folks at Wahl recently sent me their All-In-One Lithium Ion Trimmer for review. I put it to the test both at home and in my barbershop and the results were pretty good. Of course, Wahl first patented the electromagnetic hair clipper in 1919, so they should know a thing or two about making products for cutting hair. While a home unit won't replace the professional stuff I'm accustomed to using, this is a pretty versatile clipper for cleaning things up over the bathroom sink. The The Wahl Lithium Ion Trimmer has a design that is somewhat unique in the home trimmer category. First, it is powered by a lithium ion battery that allows the clipper to charge faster and weigh less than clippers with other types of batteries. I like the addition of the lithium ion battery as it holds a charge even when the clipper is in storage. It also features a quick one minute charge for quick touchups and will charge fully in just one hour. Nice. 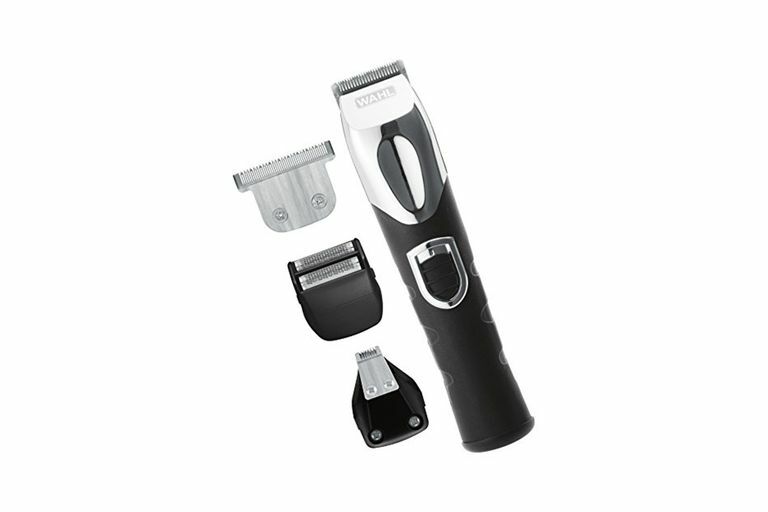 The design of the trimmer is also unique in that it offers four interchangeable cutting heads (which I'll get to in a moment) -- one for basic trimming, a narrow detail blade, a shaver blade, and a clipper blade). The blades are fairly easy to swap out and offer some really nice versatility in what you can do with the trimmer. The clipper has a fairly solid (although somewhat cheap) feel in the hand and the lightweight design makes it easy to handle. A rubberized grip helps ensure the trimmer's not going to get away from you. Overall, I found it quite easy to hold and maneuver. This clipper is also easy to clean and maintain and everything you need for that purpose is included. Four blades come with The Wahl Lithium Ion Trimmer and each offers unique abilities. The Trimmer Blade is designed for trimming sideburns and edging around the beard and neckline. In my tests, the blade did cut fairly close (although not as close as a professional grade trimmer). The Clipper Blade is a bit wider with a t-shape that I've found is ideal for trimming this stray hairs around the ears. Like the trimmer blade, the clipper blade cuts fairly close and did a good job of creating crisp lines. The product packaging would lead you to believe you can actually cut hair with this blade and, well, you could, but it isn't real great as a haircutting clipper. If you want to do a haircut, stick with a full-sized clipper designed exclusively for cutting hair. That said, the clipper blade is good for trimming up sideburns and quick touch-ups. The Precision Detailer Blade is a narrow blade designed for tight spaces. This is perfect for trimming those pesky ear and nose hairs and, if you need some detailing of your facial hair in tight spaces (the inside areas of a goatee, for example), this blade is a welcome touch. That said, for cleaning up the nose, I do prefer one of those special trimmers with the round blade. The Dual Shaver Blade is a mini foil shaver attachment that delivers a fairly respectable shave. That said, I've found this attachment best at shaving in tighter spaces and cleaning up after trimming using the other blades -- shaving under a freshly trimmed sideburn is a good use for this attachment. If you want to shave with an electric, this won't replace a full sized shaver (the small size really makes it kinda pointless for shaving an entire face), but it is good for quick touchups and cleaning up around a beard. The The Wahl Lithium Ion Trimmer comes with four blades, several guide attachments, oil and cleaning brush, a charging cord, storage stand, and instructions. 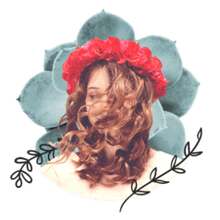 Both the Trimmer Blade and Clipper Blade come with guards (three sizes ranging from stubble to 3/16") and the guards fit snugly and were fairly easy to put on and remove. The Trimmer Blade also comes with a six position guide that was, quite frankly, a real pain to put on and adjust. You'll probably toss that one in the trash pretty quickly. The other beef I have with the trimmer is the storage stand. Yeah, it's got little slots for most of the accessories but nothing really fits exceptionally well and it's not a very attractive addition to your bathroom counter. I think it would have been a better option if this stand included a power cord so you could simply slip the trimmer into the slot and store and charge it at the same time. Sure, it will accommodate the trimmer when the cord is plugged in, but it would have been nice if charging were built in. A fairly minor gripe, but I'd probably ditch the stand and just toss the trimmer and it's accoutrements in a tray and store it out of sight. Aside from some minor annoyances, I've found the The Wahl Lithium Ion Trimmer to be a capable and versatile performer. It includes everything you need for most of your face and body trimming requirements and the performance was pretty solid. The trimmer cuts close and will help you create clean lines. At around $60, it's also a pretty good bargain -- with all of the included accessories, there's a lot of bang for your buck. This is one of the better home trimmers I've had my hands on and I can certainly recommend it on the basis of solid performance, value, and versatility.